Nostalgia is a hell of a drug. According to The Hollywood Reporter, Nickelodeon is in early discussions to reboot the 1990s TV show Clarissa Explains It All, and it seems as thought Melissa Joan Hart will be back to play Clarissa Darling, but this time as the mother. Melissa Joan Hart, who also starred in the TV show Sabrina, the Teenage Witch, has seemed open to the idea of a Clarissa reboot, “I like the way we left Sabrina. I think Sabrina ended on a really great note, and I don’t think you want to go back and explore that. At the same time, I think Clarissa ended on a note that could be explored again, because it didn’t really have an ending — it sort of ended,” she said. In the show, Clarissa Darling lived in Ohio with her mom, dad, little brother, and pet alligator named Elvis. 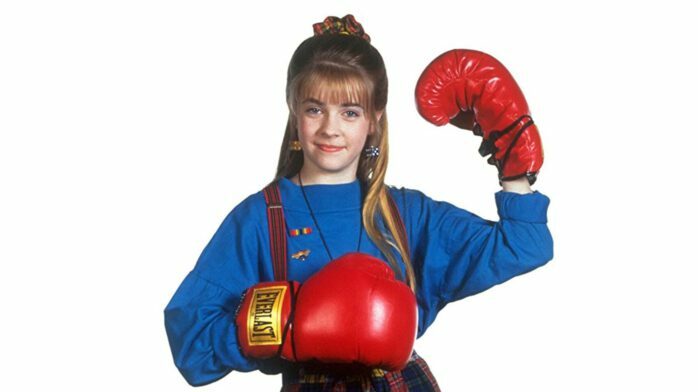 Clarissa dealt with normal teenage stuff like first crushes, training bras, getting a driver’s license, first jobs, and school. She also liked to break the fourth wall and address the audience directly. Clarissa Explains It All was a big deal when it premiered on Nickelodeon in 1991 as it was the networks first female lead and led to other female-fronted shows on both Nickelodeon and other networks. Though Nickelodeon declined to comment, the series creator Mitchell Kriegman is also in talks to return. The project is still in “early development”. Clarissa Explains It All ran for 65 episodes on Nickelodeon from 1991 to 1994.